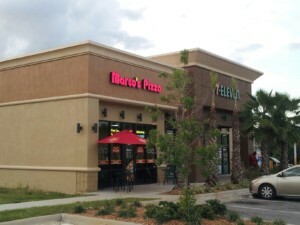 Description of project: Marco’s Pizza is currently seeking sights in the Greater Tampa Bay area. Headquartered in Toledo,OH,Marco’s Pizza (Marco’s Franchising, LLC) is the fastest-growing pizza company in the U.S. (based on the number of stores signed into development since 2007). Marco’s was founded by native Italian, Pasquale “Pat” Giammarco, and is committed to making Ah!thentic Italian pizza with fresh ingredients. The company has grown from its roots as a beloved Ohio brand to operate more than 470 stores in 33 states, and the Bahamas. In the summer of 2014 Puerto Rico is slated to open the first of many Marco’s there. Marco’s is now recognized as one of the top-performing restaurant franchises in the country.